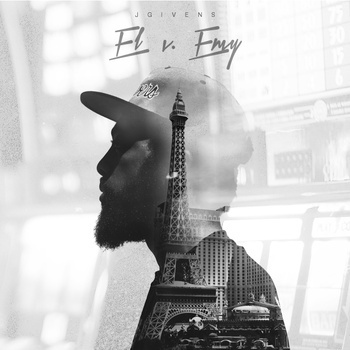 The fourth release from the extremely talented JGivens comes in the form of El v. Envy. In comparison to previous albums (such as Run) he has clearly realised his own solo talent as he's cut down on the amount of featuring artists, and has seemingly taken on the project with very little outside help. The first track from the album, (a)bridge(d) thoughts, uses a sample of soft woodwind which goes strangely well with a boom bap beat. The lyrics and flow over the track are strong too; it really feels like he knows the world which he's rapping about, unlike the eminent Viper. The beat production on the release is well-executed with quite simple hip-hop beats overlaying funk melodies reminiscent of early Snoop Dogg and Dre collaborations such as Nuthin' but a 'G' Thang. However, despite the success of El v. Envy, I feel like JGivens has a lot more to offer. Whilst El v. Envy is a good album, it does fall short with 3 or 4 tracks which is a shame, it's possible that in a year or two, JGivens could be a name contending against current experimental hip-hop groups such as Death Grips. Although the 3 or 4 tracks that lower the general standard of the album, it doesn't take away from the raw potential left in the album.